After biggest drop ever, what’s happening with stock market? 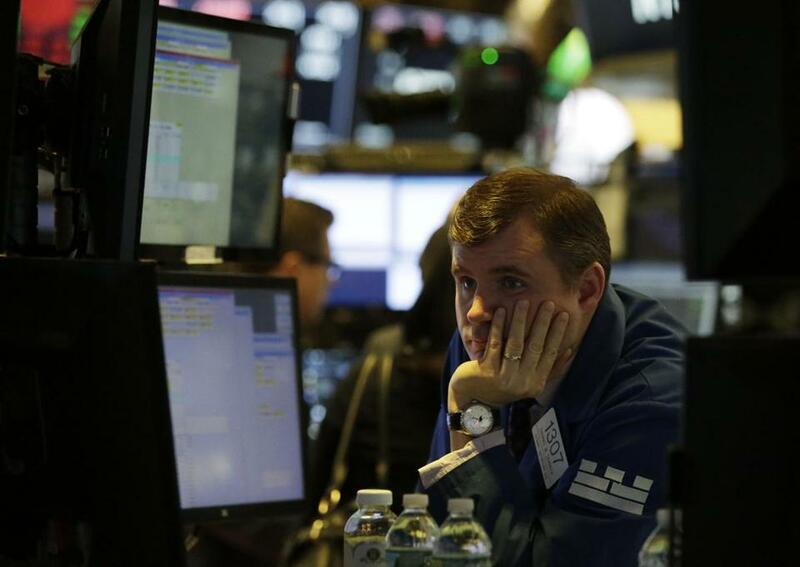 The Dow Jones industrial average suffered its worst-ever point drop Monday. US stocks tumbled on Monday, a third straight day of losses that saw the Dow Jones industrial average post its biggest percentage decline since August 2011, including a stomach-churning downdraft that brought back memories of the financial crisis. Less than a week after President Trump heralded a soaring stock market that had “smash- ed one record after another,” the Dow index of 30 blue-chip stocks fell 1,175 points, or 4.6 percent, wiping out its gains for 2018 after what had been a robust start to the year. 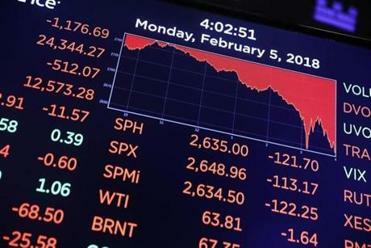 The Standard & Poor’s 500 index, a broader measure of the market, lost 4.1 percent. At one point, the Dow was down an intraday record of almost 1,600 points, including a drop of 800 points in about 15 minutes. The sell-off over the past three trading sessions was triggered not by bad news about the economy but rather by investors’ concerns that stronger wage growth might trigger inflation, causing the Federal Reserve to raise interest rates faster than previously expected. This comes after a year in which the Federal Reserve has been regularly raising interest rates and promising to raise them even more, with the deliberate goal of increasing the cost of borrowing money — whether for companies looking to expand, individuals who want mortgages, or the debt-addicted federal government. When these groups borrow less, they cut back on spending and investment, which keeps the economy from overheating. The Dow plunged in afternoon trading, sinking more than 1,500 points at one point, bringing an end to a period of calm on worries about inflation and interest rates. Despite these efforts, the yield on long-term bonds hadn’t increased much, partly because investors thought low inflation would depress yields over the long term. But when yields rose sharply last week — 10-year Treasury notes hit 2.84 percent, up from 2.72 percent in just two days — it fueled speculation that investors were finally waking up to the Federal Reserve’s aggressive plans. The prospect of spiking bond payouts then rippled through the stock market, for fear that it would reduce the profitability of many companies in the Dow Jones and S&P 500 indexes. There are a couple of ways that might happen. For one, companies issue bonds, too. So when government bond yields go up, companies have no choice but to follow suit, promising investors higher returns in order to compete. That’s costly, and it hurts stock prices by cutting into future earnings. Second, look at it from an investor’s perspective: When the government and private companies are both offering higher bond payouts, investors are more likely to shift money out of the stock market. And with that reduced demand for stocks, you get lower prices. These aren’t the only forces pushing down the stock market. Last week saw the departure of Federal Reserve chair Janet Yellen, who has overseen one of the longest, steadiest recoveries in US history. Having a new chair, Jerome Powell, introduces new uncertainty about future Fed actions. Investors are only now adjusting to the fact that the era of cheap money is ending and that the stimulative activities the Fed had pursued for nearly a decade after the housing bust are being reversed. Separately, after Friday’s jobs report showed relatively strong hourly wage growth of 2.9 percent, some analysts suggested this might hurt stock prices even as it helps workers — since higher wages eat into corporate profits. Whatever the cause, at this point the downturn in the stock market seems to have developed a momentum of its own. Bond yields actually fell Monday as investors retreated to the perceived safety of government debt, but that wasn’t enough to stabilize stock prices or reassure traders that we are dealing with a brief correction rather than a long tailspin. The day’s decline was the worst since early August 2011, when stocks tumbled in reaction to the United States losing its AAA credit rating from Standard & Poor’s. The precipitous decline also echoed the dark days of the financial crisis of 2008, when sharp swings in the market were common. So far, however, there’s no sign of similar tumult in the real economy. The United States continues to create jobs at a steady pace, corporate profits are trending up, and GDP growth — here and around the world — has outperformed expectations. Even recent market losses look relatively muted, compared to the big gains of 2017. Both the Dow Jones and the S&P 500 remain more than 14 percent higher than they were a year ago this week. And given that stock prices had reached historically high levels — levels that have never proven to be sustainable — some slide in the stock market seemed all but inevitable. By the time we hit bottom and bounce back, it’s possible the great correction of early 2018 will be as forgettable as its predecessor from 2016, a two-month slide that was more than overcome by year’s end. But if the losses continue to mount, the effect on economic confidence could be dramatic, particularly for President Trump, who has repeatedly claimed credit for US stock market gains and might get blamed for any losses.